​What Can You Expect to Learn Inside? ​Our platform addresses Raising a Powerful Girl starting with infancy and running through the teenage years. We address many aspects of development while addressing our three core values - Independence, Leadership and Strong Personal Identity - and how they relate to different aspects of her life at different developmental stages. Our goals, with the help of professionals around the world, are to not only help you address your current personal challenges with the girls you are raising, but to give you insight on situations others are facing, creating an inclusive community and environment where everyone feels like they belong and are seen and heard. We believe that ongoing education is critical in parenting as there is no “one-size-fits-all” approach to parenting but rather every parent or caretaker needs to have an arsenal of tools and tricks at their disposal to help guide each individual girl with each phase of development. What works for one child doesn’t work for all and what works one day might not work the next so we want to make sure that you have a resource and place where you can continuously navigate these challenges while feeling supported and empowered. Our platform addresses raising a powerful girl starting with infancy and running through the teenage years. We address many aspects of development while addressing our three core values: Independence, Leadership and Strong Personal identity and how it relates to different aspects of her life at different developmental stages. Our goal, with the help of professionals around the world are to not only help you address your current personal challenges with the girls you are raising but to give you insight on situations others are facing creating an Inclusive community and environment where everyone feels like they belong and are seen and heard. ​You are open to learning new ways of seeing and approaching everyday situations of parenting and raising girls. You are open to the idea that, "When we know better, we do better," and that parenting is a learning process that never ends. You want to learn ways to empower your daughter or girls you work with to be independent while still maintaining rules and boundaries that support your own personal family or community values. ​You want to learn ways to empower girls to be true leaders that will stand up for what they believe, even when they are facing trying situations or going against what everyone else is doing. ​You want to raise a girl who truly knows who she is and what she believes and you want her to learn to explore all of this while still maintaining healthy boundaries and safety. ​You recognize that to raise a powerful girl means living with one and you want education, tips, tricks and tools necessary to foster all of these incredible values while maintaining open and clear lines of communication, boundaries and having FUN! 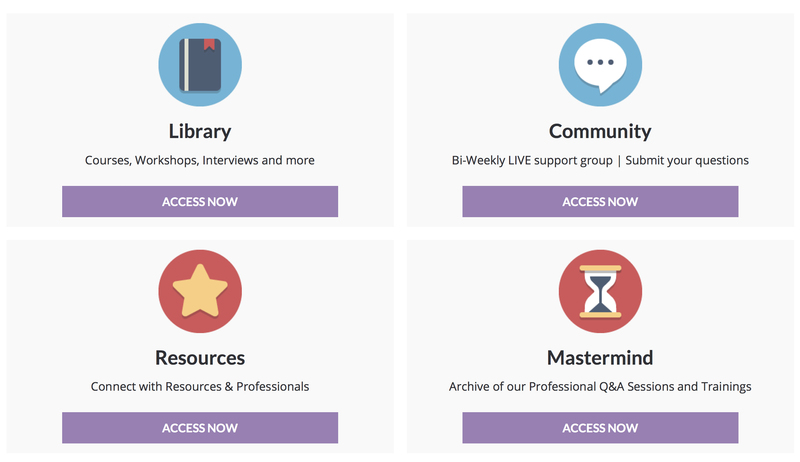 Get instant access to our Membership Community now! ​This is the parenting handbook and community that you have been looking for but haven't found until now. This resource is constantly updated, evolving to bring you the latest research, address current needs and offer​ solutions to everyday problems around the globe. What is a membership site or membership community? A membership site is a website that delivers content and provides networking and community to a specific group. ​You join the site through a monthly (or annual) membership subscription. When you join you have access to all of the materials available. What materials will I have access to immediately if I join? The Community Forum for support and discussions with fellow parents, caretakers, educators and professionals. New content will added regularly so you’ll never be short of something new to learn! We have a wealth of great content already, and no end in site to all the different trainings we can do – plus you'll have the chance to put forward​ ideas of your own, too, if there’s something you really want to see added! How long will it take to get through all the material? At Raising a Powerful Girl, we believe that learning is a lifelong journey – therefore we will continue to grow along with you! We will constantly be adding new interviews, courses, resources & more to keep you up to date with the challenges girls are facing everyday. Yes. Cancelling can be done easily with ‘My Account’. You’ll have full access until the end of the current billing cycle. To restart your subscription, simply log back in with your username / password. Are there any long-term commitments or fees? No. You can upgrade, downgrade or cancel your subscription at any time. We’ll never charge a cancellation fee. We want to make our online learning experience as enjoyable and transparent as possible. Can I access the content within the Membership Site once I cancel? Your membership entitles you to enter the members area and forum and access the content there released prior and during the duration of your membership. If you cancel or do not renew your membership you will no longer be able to access the content inside. ​Yes, I Want to Join Now! ​So what can you find inside the platform? ​Join this incredible community and movement and take the next step to empowering the young girl in your life today! Here is to a revolution that is going to CHANGE THE WORLD!